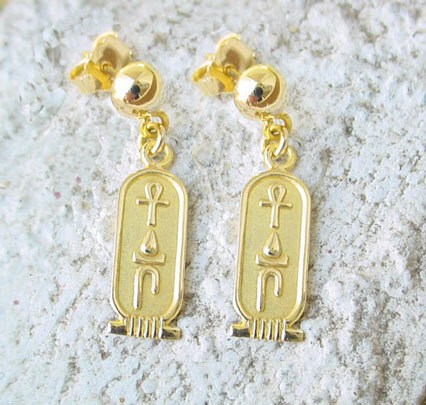 Ancient Egyptian Jewelry History Before the first written hieroglyphs of history to Cleopatra's demise in 30 BC, Egyptian jewelry was not just for adornment. 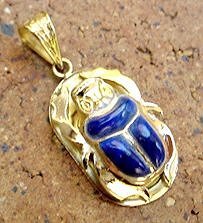 It had other religious and magical purposes, such as the scarab for rebirth and renewal and the ankh amulet as a symbol of eternal life. 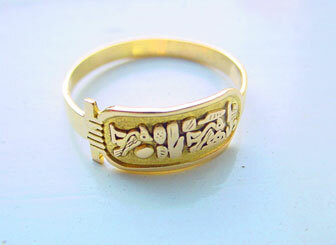 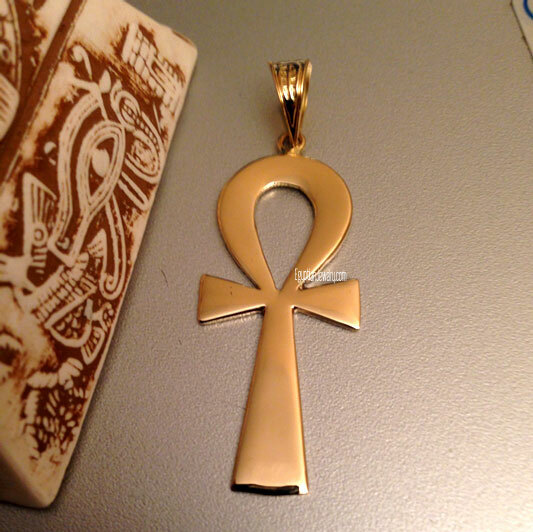 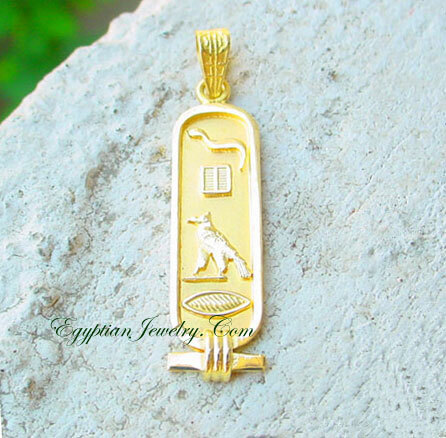 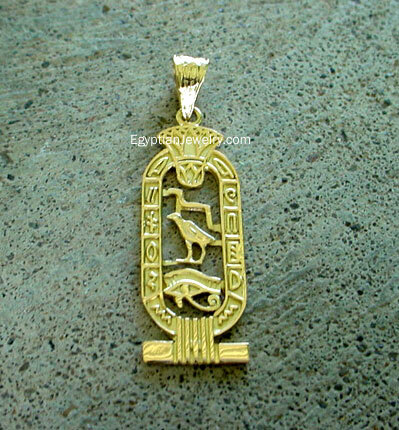 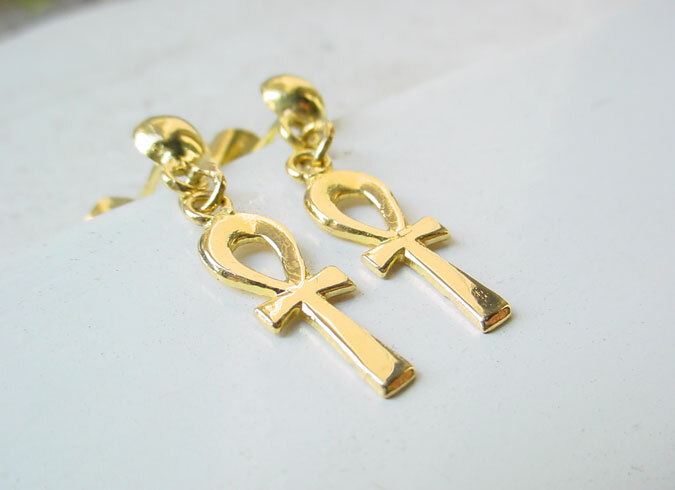 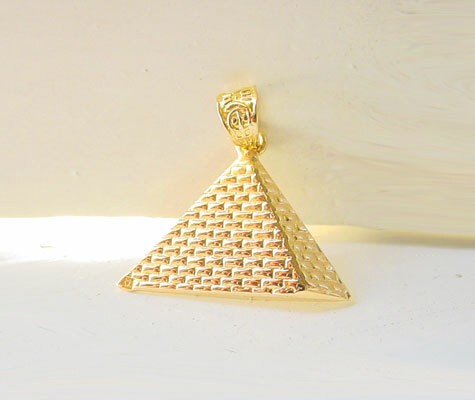 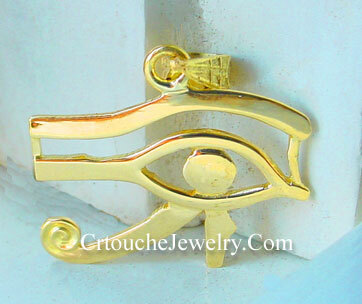 Gold was the metal of choice for the pharaoh; it was thought to be the flesh of the sun-god Ra, and eternal. 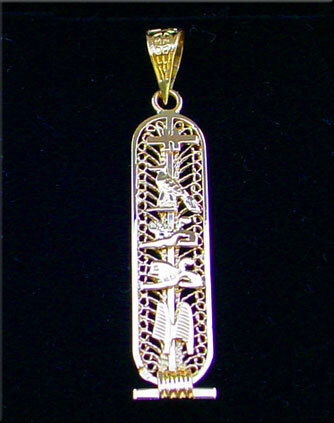 Silver was considered to be a form of white gold, and from Isis, goddess of the moon. 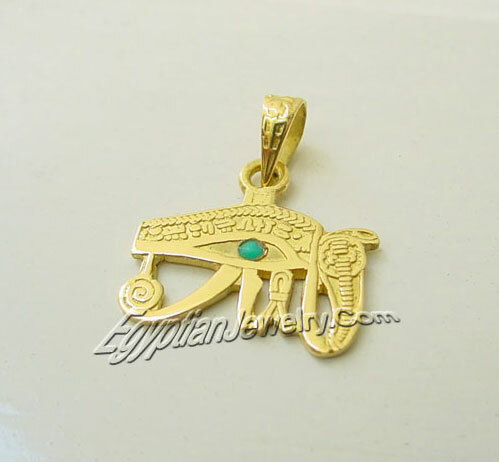 It was often studded with stones, such as lapis, turquoise, and carnelian. 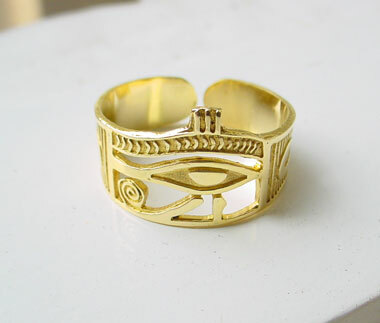 We have a large selection of Egyptian jewelry, all inspired by ancient Egyptian craftsman and brought to you with over 30 years experience. 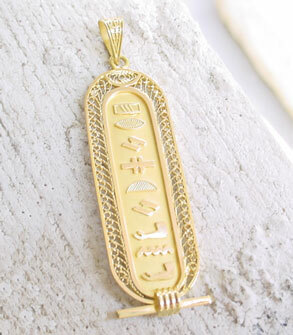 Our popular Cartouche, a name plate for ancient Egyptian kings and queens, is available sterling silver, 18k gold, or 2-tone combination. 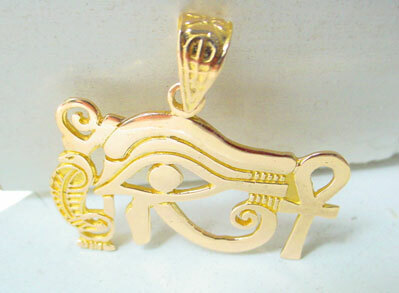 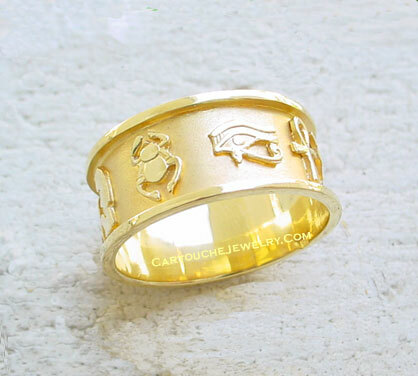 We have matching pendants, earrings, and bracelets, personalized with an inscription of your choice.